The recipe says this quantity of dough will make about 16 scones but I like to make larger scones so I usually get 8 to 10 out of this dough. Preheat oven to 210°C fan assisted (gas mark 8). Sift the flour in to a mixing bowl and add the salt and baking powder. Cut the butter in to cubes and add them to the flour, then rub the butter in to the flour with your fingertips until it has disappeared and the flour looks sandy. Tip in the caster sugar, stir and then using a knife gently stir in the buttermilk until you have a sticky dough. Turn the dough out on to a floured work surface and using a rolling pin press the dough in to a round about 1½ inches thick. Dip a pastry cutter in flour and cut as many scones as you can from the dough taking care not to twist when removing. Place the scones on a lightly floured baking sheet and bake for around 15-20 minutes until golden brown on top. Oooh those look good. I can’t remember ever making scones, but I love fruit scones, nice and warm and smothered in butter. Of course a good dollop of strawberry jam is quite tempting too. I may have to give these a go. And thanks for the tip about not twisting the cutter! Hi Layla, thanks very much 🙂 scones are so nice and versatile – definitely give them a go, very easy. Hi Layla, scones are so nice and last in an airtight container too so nice to have handy as a little treat. So glad your back ! 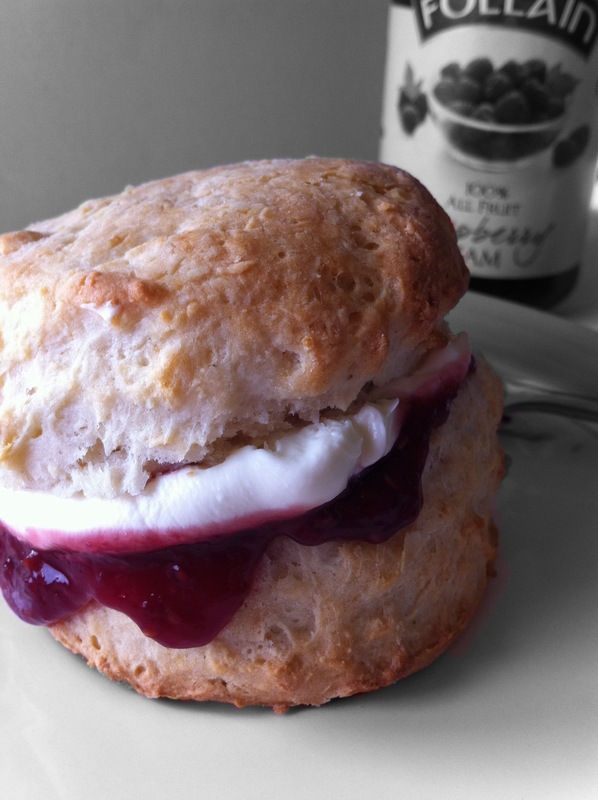 I love scones especially with jam and cream, yours look delicious. I loved coming home from school to the small of scones in the oven, that smell brings back some lovely memories. These look delicious! I have never made scones, but I love to eat them with clotted cream and fresh jam!! I lived in England for more than a decade, and scones and clotted cream is definitely something, I miss being away from there! !